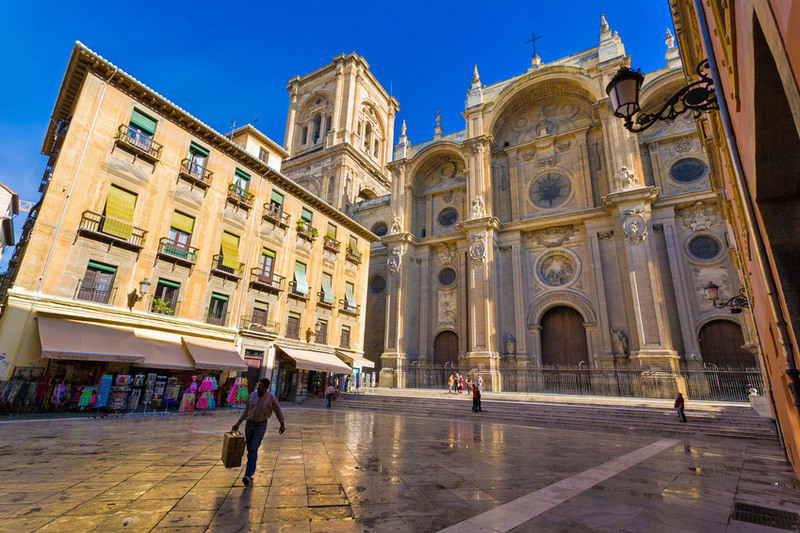 If you are driving a car and intend to go to Granada, please note that there are several traffic restrictions within Granada city centre. Only residents, taxi drivers and the guests of those hotels located right in the city centre are allowed to drive in most areas. Not to mention that many streets are narrow, the traffic is slow and it can be difficult to find your way around. 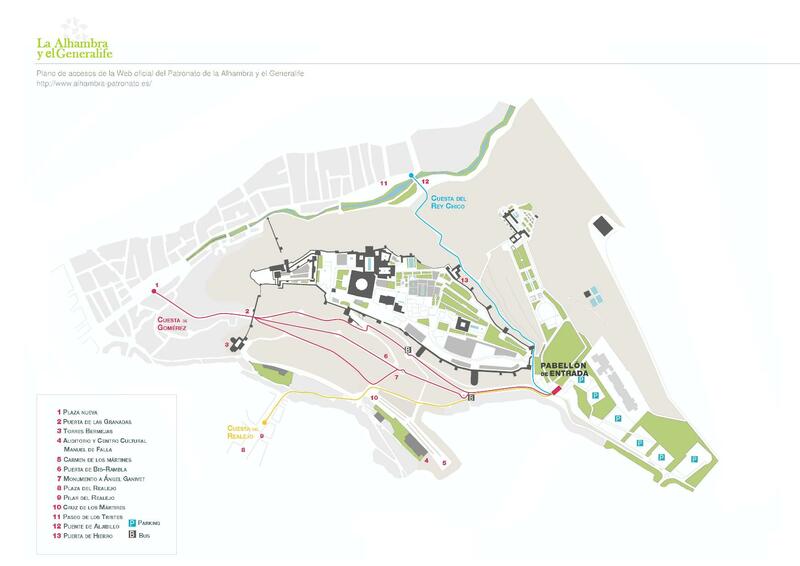 Therefore, using the circumferential highway around Granada to avoid driving within the core part of the city centre may be extremely useful. 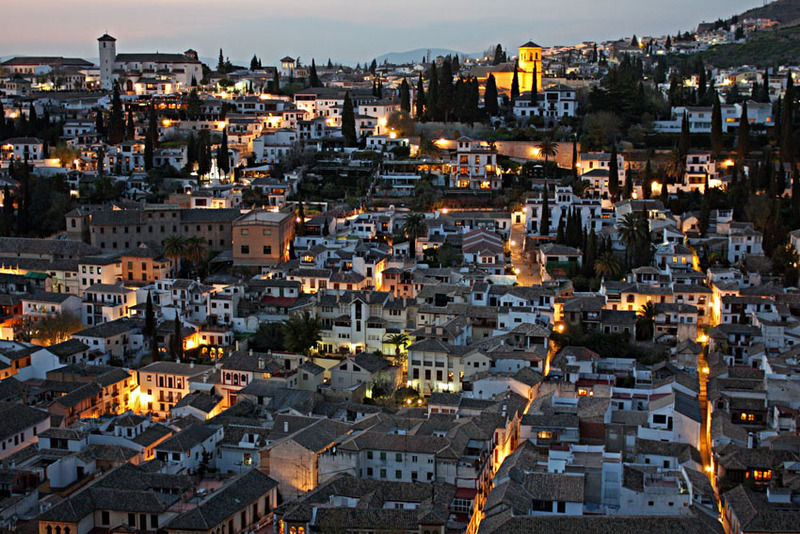 The Albaicin is the old Arabic neighbourhood of Granada, characterized by its windy, steep, narrow streets. 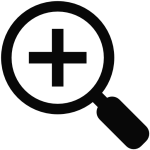 It is advisable to avoid driving there, for there are many other easier alternatives to visit it thoroughly such us hiring a taxi, cycling electrical bicycles or combining walking with public transportation. 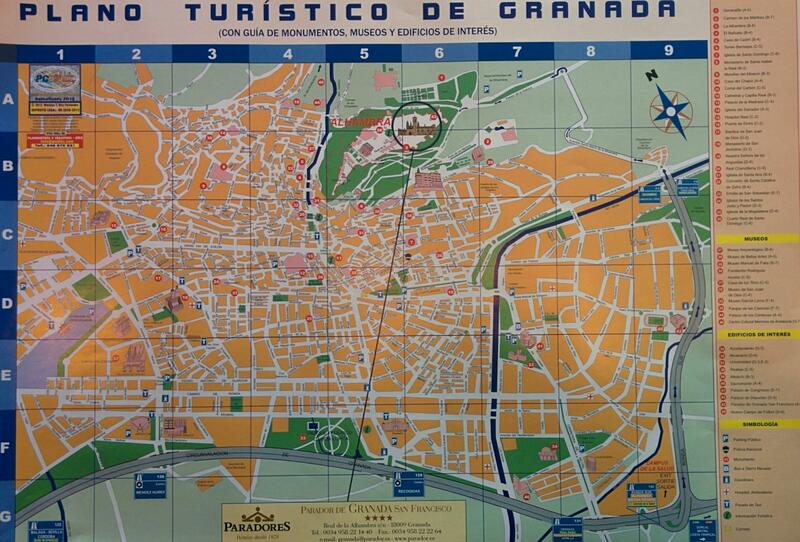 Follow the circumferential highway around Granada, take the exit no. 128 that reads “Mendez Nuñez”. Drive through Mendez Nuñez street and, then, through Fuente Nueva avenue and Severo Ochoa street (around 5 minutes). In Severo Ochoa take the tunnel and take a right to follow the road signs to Albaicin and Sacromonte. 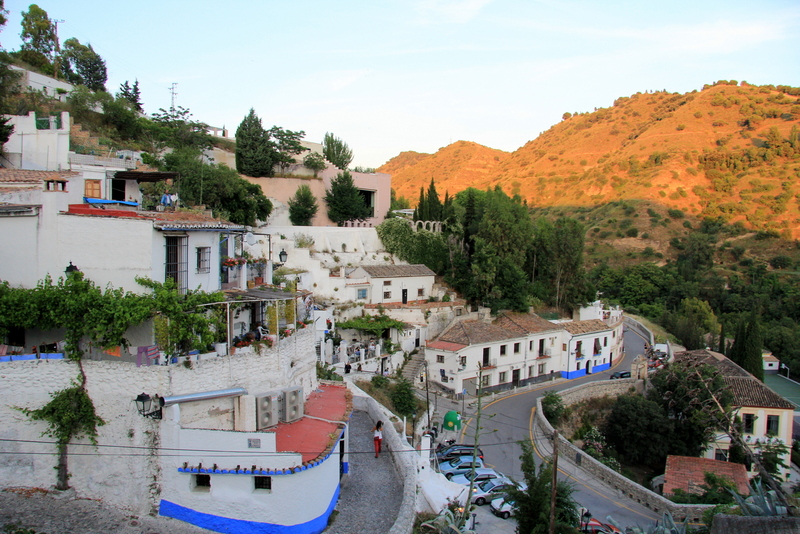 Like the Albaicin, the Sacromonte neighbourhood also poses a challenge to the drivers due to its windy, steep, narrow streets. Drive up the steep road and find the massive car park of the Alhambra at the very top (on the left). The main entrance of the Alhambra and the ticket office are next to the car park number 1. Continue driving for about 40 minutes. If you wish to visit the village, follow the road signs that read “Pradollano”. 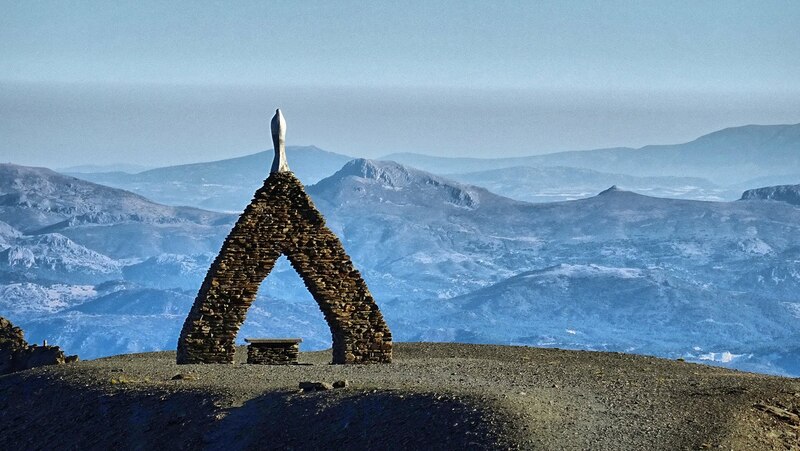 If you prefer to drive to the highest possible point, follow the road signs that read “Hoya de la Mora” and you will drive above Pradollano. You can always drive downhill through Pradollano village afterwards.